It's Wednesday, and the week has slowed down a little, and I'll admit, I'm raring for the weekend! As the mid week slump has hit, I suddenly got in the mood for comfort food. Comfort doesn't mean bad....Mc Donald's have given burgers a bad rap, but home-made burgers, made with great quality mince can be as healthy as you want them to be. I love to dress my home-made burgers with home-made chutneys, spinach leaves and Parmesan shavings. 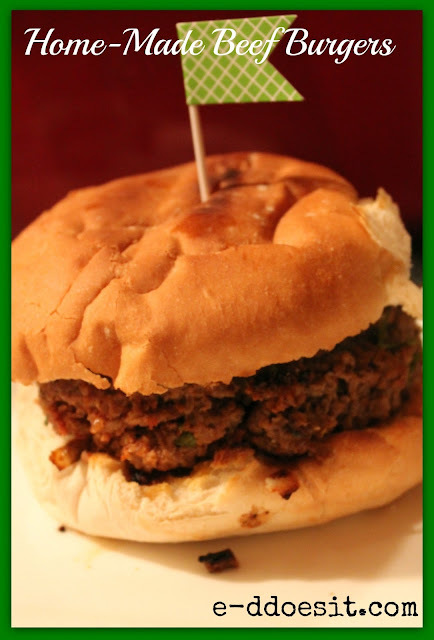 This recipe guarantees a moist, flavoursome burger that will not disappoint! mix together using your hands. 2. Divide the mixture into four, and mould into 'burger' shapes using your hands. burgers begin to char, simply turn down the heat. Parmesan shavings and spinach leaves! providing a really different flavour.